If you're looking for help publishing any type of third-party (custom) publication for your company, association, or government entity, you've found the right place. 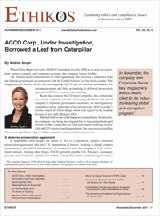 Singer Publications started publishing industry newsletters in 1985. We have expanded since then to include many types of corporate, professional and trade association publications designed to expand membership and increase loyalty. Our publishing philosophy is to aim high and aim low. Aim high in terms of editorial quality and clean design. Aim low in terms of expenses. We deliver quality publications in a timely fashion and at minimal cost to your organization. Singer Publications is not an advertising agency; nor are we a PR firm. Our focus is third-party publishing - with an emphasis on timely, informative content. We are not industry-specific publishers. We work in a variety of areas: from business ethics and compliance to financial services and more. To learn more about what we can do for your organization, contact us at info@singerpubs.com. 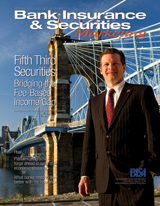 Bank Insurance & Securities Marketing Magazine -- the official publication of the Bank Insurance & Securities Association (BISA). Since 1991, this quality publication has set the standard for in-depth industry reporting. Ethikos: Examining Ethics and Compliance Issues in Business Since 1987 -- our flagship publication, Ethikos, is a bi-monthly publication focused on industry-wide issues in the field of business ethics & compliance. 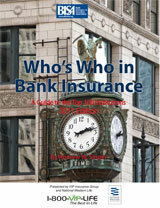 Who's Who in Bank Insurance: A Guide to the Top 100 Institutions (7th Edition) -- The industry leading guide to banks in the forefront in building sustainable, fee-income generating businesses. 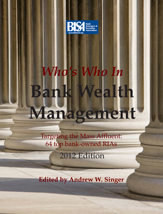 Who's Who in Bank Wealth Management: A Guide to 64 Top Institutions (2012 Edition) -- The industry leading guide to banks in the forefront of wealth management. 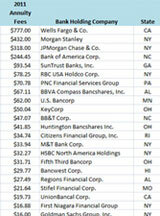 Singer's Annuity & Funds Report -- a compilation of more than 3,600 operating banks and 700 bank holding companies (BHCs) is presented in an Excel spreadsheet format. It offers access to 26 fields of key information on annuities, insurance, investments, trust, & noninterest income. Weekly eNewsletters -- Keep your name before industry and association members with Weeky E-News 'blasts' — brief, clear, and to the point. We can build the facility for you-and establish your group or organization as an industry 'thought leader.' It won't drain the treasury, either.